From an event held in the Untamed Woman group where I talk about my journey as an entrepreneur and how I’ve kept this thing going for 12+ years. 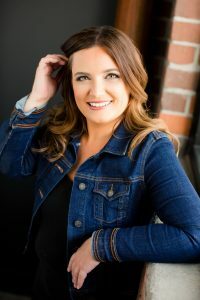 You’ll hear a little bit of history, where my business has taken me, the struggles and triumphs, and lots of truth about entrepreneurship, including the 3 things every business owner should do BEFORE starting a business that I never did (until recently). I embrace being a goofball here, not knowing anything about how to conduct a FB live event (coupled with my fear of public speaking), but it gave me a wonderful opportunity to reach some blossoming female entrepreneurs to share my message with them. Sommer is the owner of Sleigh Consulting, a digital marketing company specialized in SEO and content strategy. She has been in business 12+ years weathering the economic and social tides, as well as her own personal struggles. Her business has looked like everything from a fledgling freelance business to a real business where she’s actually been able to hire a team. You want to hear about her evolution! Find out more about me here, and follow Sleigh Consulting on Facebook.